postaweek2011 «Miss um... Erica?!?! Miss um… Erica?!?! I’m trashy and it’s OFFICIAL so you can add that to my list of character flaws. Actually it’s the fault of my self-diagnosed A.D.D. that will force you to add it to the laundry list so I’ll carry on and air my dirty laundry via my blog and maybe someone will relate. Guess what I did yesterday! I took my trash to work with me. Yep!! NO, it wasn’t like one of those “Bring your daughter to work” days designed to raise any kind of awareness or educate the nation’s youth. I simply brought my trash with me on accident, but I did educate myself a little and manage to bring about a higher level of self-awareness. Let’s hope it sticks and congeals. This is how I handle the unglamorous chore of taking out the trash which makes a LOT of sense I think: I bag my trash at night and then put it outside my front door in my direct line of sight where I can’t simply get distracted and walk around it. Then when I leave the next morning, I carry my bag of refuse to my car and place it on the hood since my SUV does not have a trash platform/trunk. See, no matter how junky the inside of my car is, I refuse to carry refuse INSIDE my car whether it’s bagged or not. What if garbage juice leaks out onto the floor or seats of my car?!? That would stink LITERALLY! I then drive VERY SLOWLY AND CAREFULLY to the dumpster since my view through the windshield is somewhat obstructed depending on how much trash I’m towing and toss it gingerly into the receptacle on my way out of the complex. Sure I get looks when I sometimes hang my head out of the window to see where I’m going but I manage to navigate my way safely around the obstacles and reach my destination which is not far away. I decided yesterday, after some yahoo threw me a dirty look like he was hurling a rotten tomato at me the day before, to double bag my trash and carry it in the backseat down to the dumpster on my way to work. Well, Hell! I got distracted and forgot to dump my baggage before starting the new day. CRAP! I didn’t realize til I was half-way into work so I trucked along and pulled out the trash when I exited the car and disposed of it outside the mall where the security guards were probably watching me on camera and shaking their collective heads. Whatever. My mind started going on some analogies though that I HAVE decided to try and carry along with me now. I should’ve stuck with my guns no matter how quirky I sling them. If I’d ignored the guy’s stupid look, then I’d have carried on with what works for me and slung my baggage into the proper bin without carting all the way across town. I’m doing that from now on so that I don’t get discombobulated and one day TOTALLY forget the bag in the hot steamy car while putrid gases and who knows what accumulate before I have to sit in the carpool line. I’ll embarrass the hell out of myself if the duty teacher opens the door to THAT so driving a little eccentrically through the complex is nothing. It’s a simple theory so why make things more difficult and complex for myself? I’m going to take my time, in my own way, and leave all of the trash and baggage behind in other ways too. 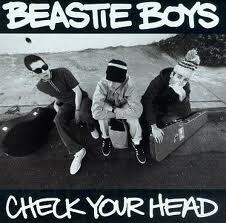 I think it’ll start my day off right and help to keep from cluttering up my mind and schedule. What if I actually took all of the mistakes made from the previous day, threw them into the trash and started with a fresh new silver lining for the new day?! THAT’S what I’m going to do!! 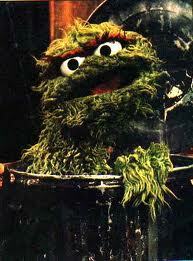 Wallowing in my collected trash will just make me grouchy like Oscar anyway. I may carry it around for a minute for the world (wide web) to see while pondering things on the blog, but then I’ll toss it out for someone else to carry away and start fresh. If anyone gives me dirty looks again I’ll just tell them to SCRAM! God probably doesn’t want me weighed down and towing everything along as it accumulates like a big ole burden anyway. I’ll just hand things over, recycle what can be made better, and toss the rest. It’s a new dawn, it’s a new day, and I’m feeeeeeling good!